We had many people come to Rte. 59 & Middletown Rd. last Sunday. 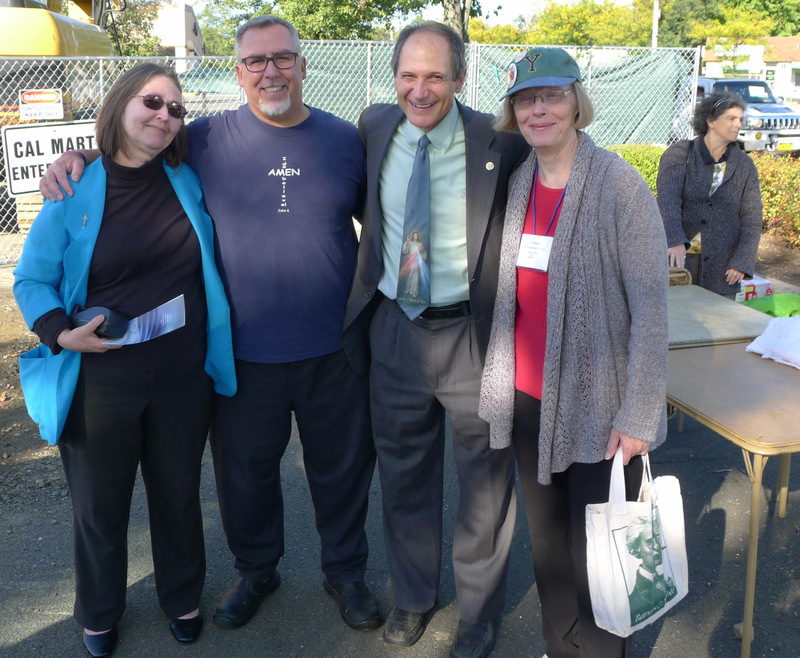 It was a pleasure to STAND with and alongside the many individuals from our community who attended this annual event to be a VOICE for the unborn … lay & religious … young & “a bit older” alike! THANKS for being there and supporting this effort! and help put an end to abortion. 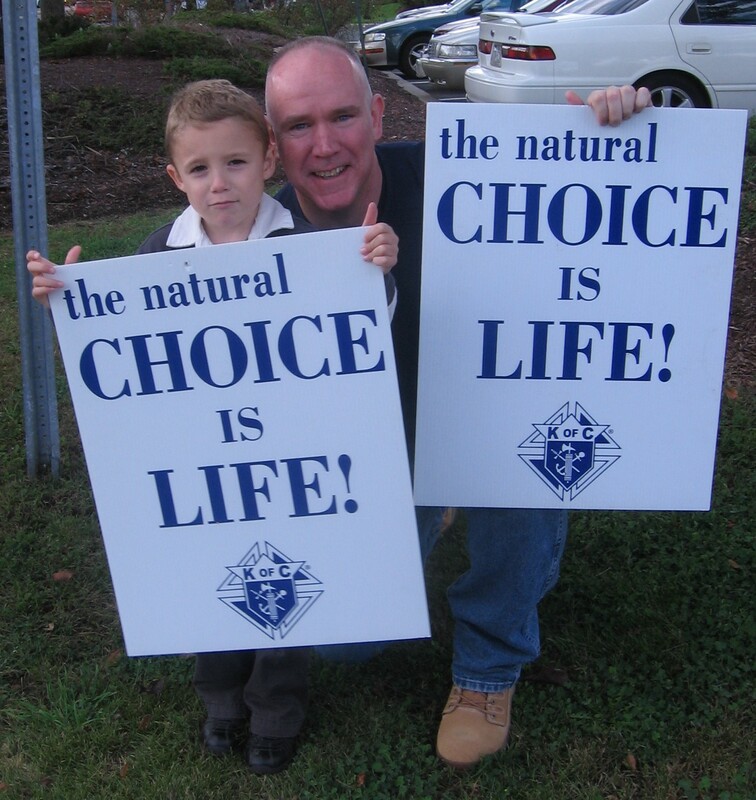 You can help make this event the largest PRO-LIFE event in Rockland County History. 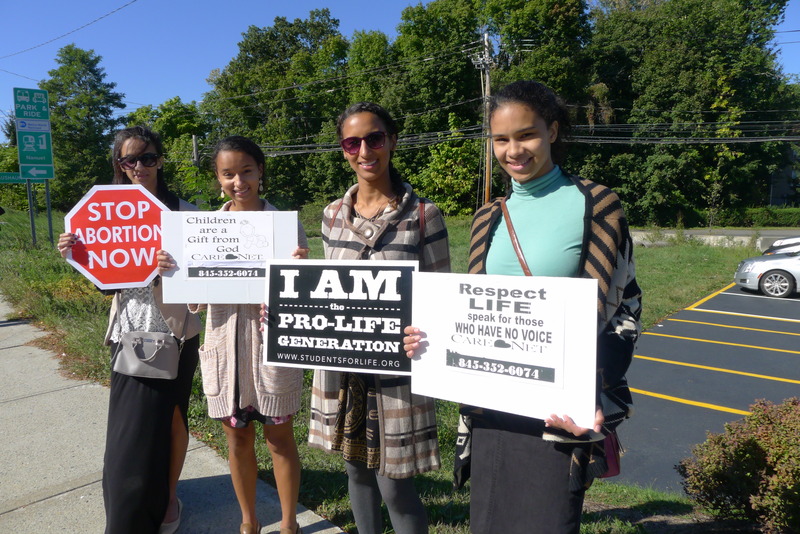 Students from Albertus Magnus High School stand up for life at the Life Chain. Oct. 1 — Today Rocklanders stood along with thousands of prolife individuals across the U.S. and Canada in honor of the millions of babies whose lives have been lost to abortion and to pray for people in crisis situations and for our nation. The Life Chain is an interfaith prayer vigil that takes place every year on the first Sunday of October, Respect Life Sunday. Local Life Chains were held in White Plains, Middletown, Manhattan, Bronx, Staten Island, and 19 other locations in the lower Hudson Valley. This is the 25th year for the Rockland Life Chain, which is held at the intersection of Route 59 and Middletown Road in Nanuet. Photos follow. Click on a photo to enlarge it, and then scroll through the resulting slide show. Thank you to everyone who came to the Life Chain. I hope you realize what your presence meant. May I ask you this? How many of the thousands of people who drove past us last Sunday would have given a moment’s thought to the subject of abortion if we hadn’t been there? Hardly anyone. It’s certainly not something most people think about much. It was a Sunday afternoon. People were out shopping, listening to the game on the car radio, maybe. And yet, for a few moments at least, EVERY SINGLE ONE OF THEM saw something that compelled their attention — that crowd of kids on the corner, the graceful nuns in their blue and white garb, the line of men and women of all ages along the roadside. 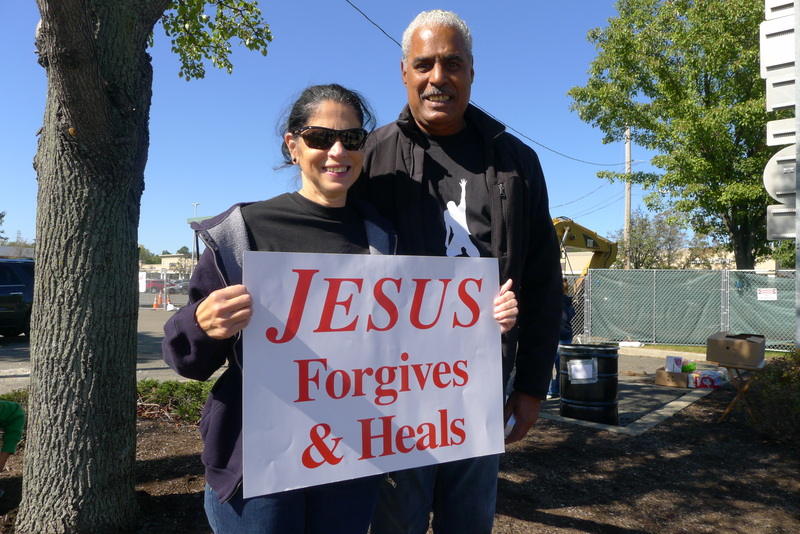 The welcome influx of enthusiastic Christians from churches across all of Rockland County made Sunday’s Life Chain in Nanuet the biggest in years. 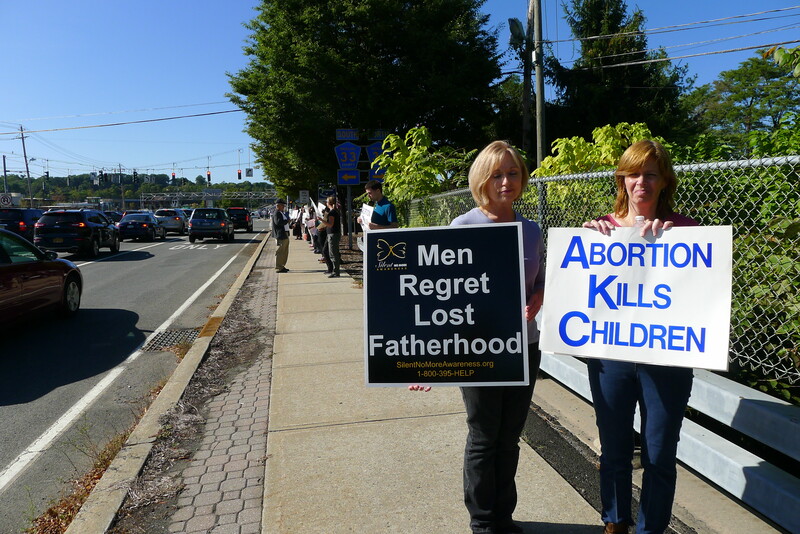 Under bright, sunny skies, from 2 to 3:30 pm, over 400 participants stood up for Life by forming a “chain” that stretched along Route 59 from the west end of the Shops at Nanuet nearly down to the intersection with College Rd., and north and south along Middletown Rd. Holding signs that read “Abortion Kills Children” and “Jesus Saves and Heals,” and other appeals to respect the life of the unborn, veteran Life Chain participants and the many newcomers proclaimed their message to the thousands who passed by in cars during the hour and a half they stood witness. 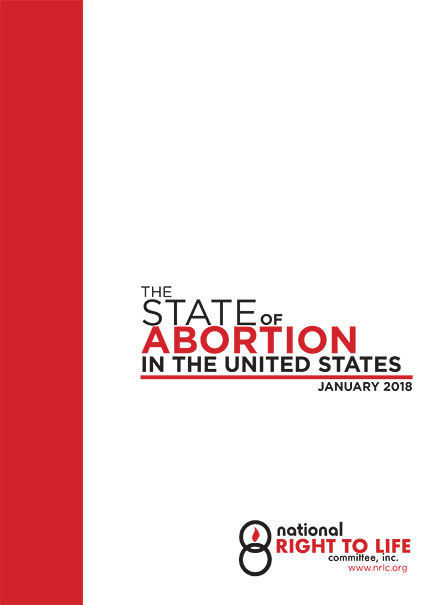 Among those present were members of the Prolife Club of Albertus Magnus High School in Bardonia, Beth Am Messiah in New City, CrossLife Church in Thiells, Faith Assembly of God in Chestnut Ridge, the Gracepoint Gospel Fellowship in New City, the Living Hope Fellowship in Tompkins Cove, the New Hope Christian Church in Monsey, St. Augustine’s Church in New City and many other Catholic churches, the Salvation Army from West Nyack, the Savior Community Church in New City, the Silver Springs Vineyard Church in Nyack, the Sisters of Charity from St. Agatha’s Home in Nanuet, and the Sisters of Life. Chris Bell, the co-founder and president of Good Counsel Homes, which helps homeless pregnant women, also visited the Life Chain. 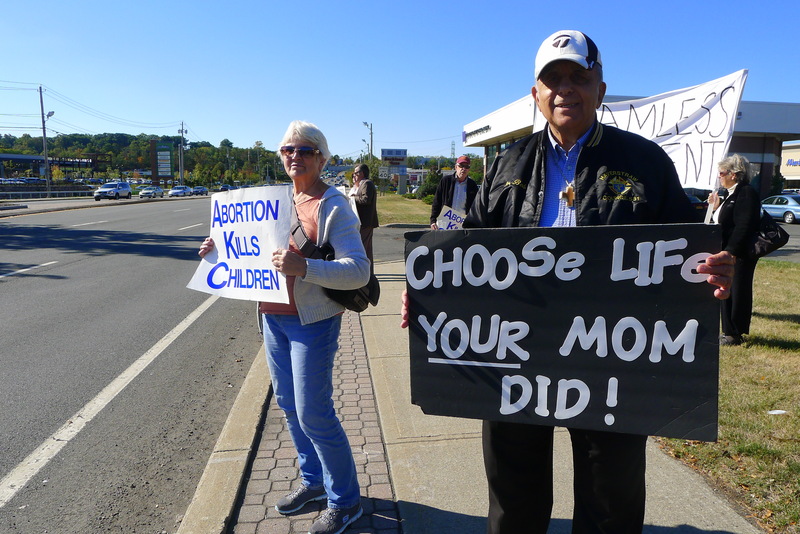 He had been speaking at the masses at St. Anthony’s Church in Nanuet for Respect Life Sunday. Many of the first-timers learned of the Life Chain through Deacon Ed Ilarraza of Gracepoint Gospel Fellowship. Ilarraza and Eileen Peterson were organizers of the Life Chain. 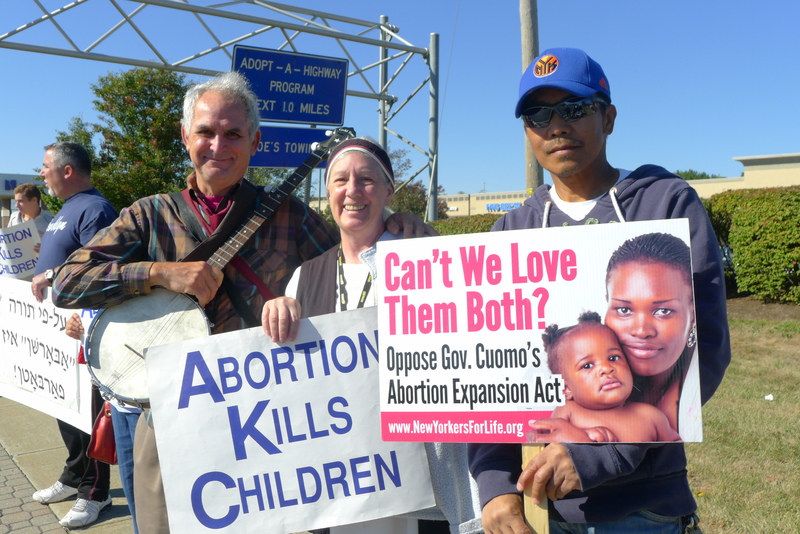 On Oct. 5, Respect Life Sunday, hundreds of Rocklanders gathered in Nanuet for the 22nd Annual Life Chain –standing together along the intersection of Route 59 and Middletown Road to pray for an end to abortion and for healing of all who suffer because of it. Life Chains were held in over 1,500 cities, according to the campaign’s national organizers. “There are a group of people who would like to silence everybody and have everybody go along to get along, but that’s not going to be very helpful for us in the long run, in terms of solving our problems. And somebody has to be courageous enough to actually stand up to, you know, the bullies.” ~~ Dr. Benjamin Carson.